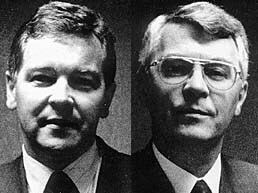 Devout Christians Jan (1946) and Paul Baan (1951) founded a software company twenty years ago. They hit it big in 1994, pulling in a major order from US aeroplane manufacturer Boeing. Baan Company is now the largest software company in the Netherlands and one of the largest in the world.